Do You Know About Bioregional Eating? Eating bioregionally is gaining in popularity. Here's what you need to know, including how it differs from the locavore moment. There's a growing trend in sustainable food that sort of fine tunes locavorism. 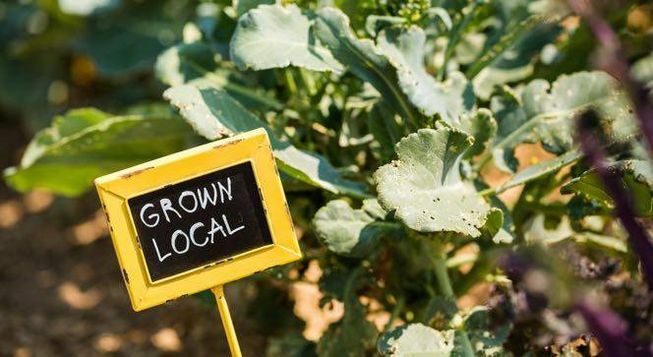 Sourcing from within bioregions is the one of the big food trends for 2016, according to Forbes, and although eating bioregionally has a lot in common with locavorism, it's not the same. What are bioregions and how can paying attention to them help us eat and live more sustainably? Here's a primer. A bioregion is a "geographical area with a unique combination of plants, animals, geology, climate and water features." When it comes to growing and raising food, each bioregion will have foods that it can naturally sustain and foods that it cannot. I have neighbors here in New Jersey who have a lemon tree in their house. They are avid vegetable gardeners and grow seasonally in both their backyard and a plot in a community garden. They certainly do their part to support the locavore movement. That lemon tree is something completely different, though. The climate where we live doesn't support citrus, so the tree is purely for fun. The number of lemons the tree produces may never equal or surpass the amount of money it costs to buy and sustain the tree, and the resources used to make sure it thrives are considerable. I mention this not to put down my neighbors. In fact, I would love a lemon tree in my home. It would be fun to pick a fresh lemon each time I needed one, but I've established that my enthusiasm for growing my own food doesn't match my enthusiasm for eating it. So I mention this as an example of how growing locally isn't always sustainable. Food that comes straight from your backyard has been hailed by many as the holy grail of sustainable eating for about a decade now. It's the ideal that resonated with me when I began my personal blog about eating local in the South Jersey/Philadelphia region. What I've come to learn along the way, though, is that eating sustainably is much more complicated than buying everything I possibly can from within a 100-mile radius. As with the lemon tree example, just because it can be grown locally doesn't mean it should be grown locally, especially when you take sustainability into consideration. My friends' lemon tree barely makes a dent, but large-scale production of foods that a bioregion doesn't naturally support can make a big dent in un-sustainability. Take for instance, energy-intensive hot houses that grow tomatoes out of season that are sold within the region. Are the tomatoes local? Yes. Are they sustainable? It gets more complicated then, doesn't it? They may (or may not) be more sustainable than a tomato grown in a warm region and shipped across country. 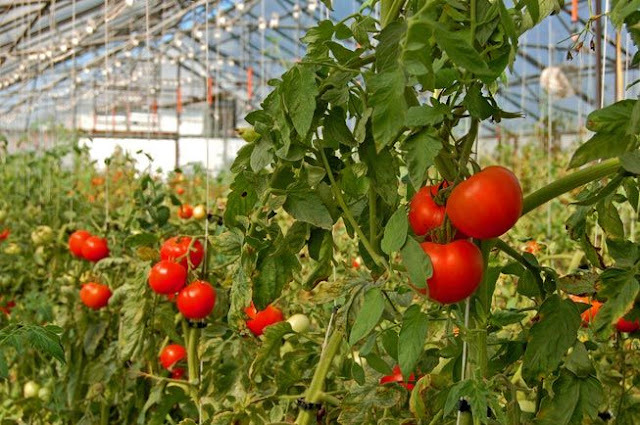 Both methods of obtaining a tomato in the winter months in a place where they won't grow naturally use a lot of energy. The concept of eating bioregionally seems to fine tune locavorism. Eating a locally grown hot house tomato in February is not eating bioregionally; eating a farm- or garden-grown tomato in July is. To truly eat bioregionally, we should forgo all fresh tomatoes once they're out of season. This concept is easy to grasp when it comes to food, but it goes beyond that. Your food bioregion may contain several towns, more than one state, and even more than one country. Part of bioregionalism is the idea of basing our political borders on nature. When you do that, you can see how it could get complicated fast. Instead of several different local, state or even national governments existing within one bioregion, there would be one political government within its natural borders. If we arranged "political structures around ecological regions and the cultures within them," argues Rachael Stoeve in Yes magazine, there would be sustainability in many areas of life. There's a whole other blog post to write about that aspect, but it's interesting to look at the food concept with that broader scope. The decisions made about the resources within a bioregion would be more likely to benefit the environment and the people than corporations and those with a financial interest. That's something to chew on. You are subscribed to email updates from Organic.org. Get In Before Midnight... We are waiting for you! See the new revealing ingredient pics now! Ingredients NOT to eat in 2016.